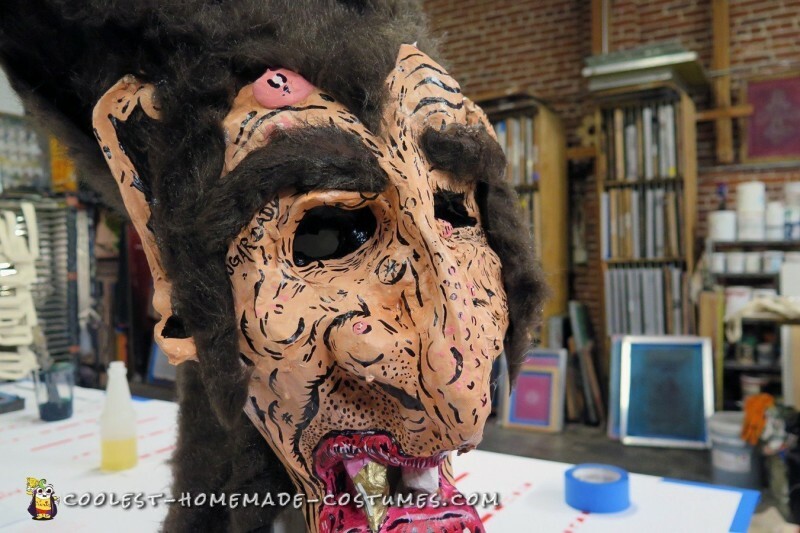 I created this paper mache Count Chocula mask after looking for a mask that would fit comfortably over my prescription glasses, which has been a recurring issue since childhood. 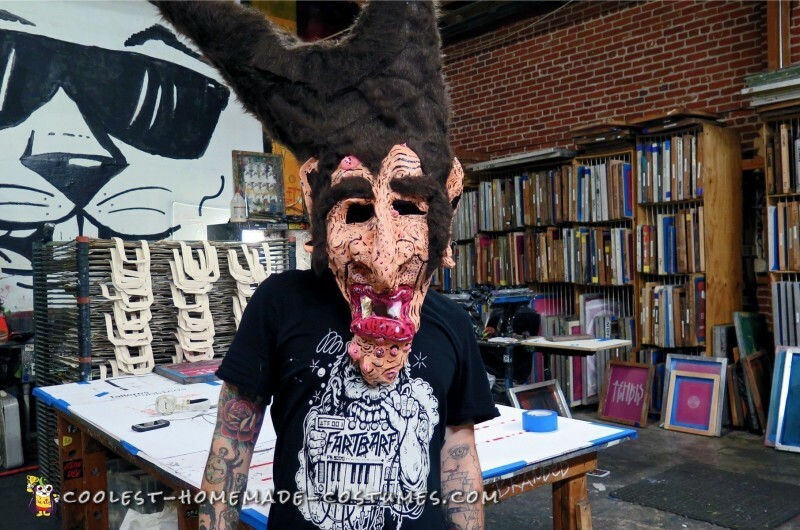 I chose to use paper mache due to the process being fairly inexpensive and fun, with the entire mask costing me roughly $20.00 in total to create. 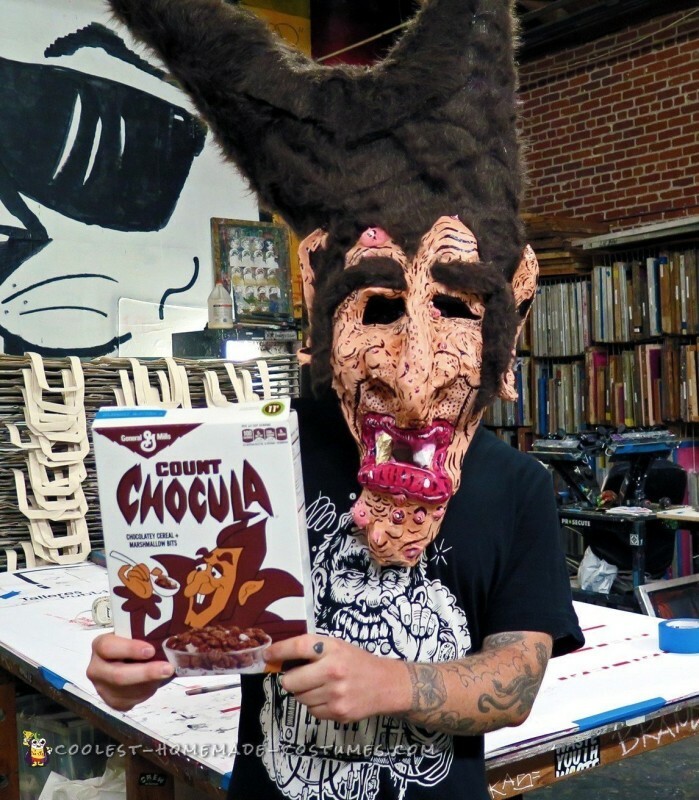 I decided to take a bit of artistic license with the character of the General Mills Halloween cereal mascot and have his skin and appearance reflect what I imagine a sugar eating, light sensitive, immortal vampire might look like if he lived in Los Angeles. 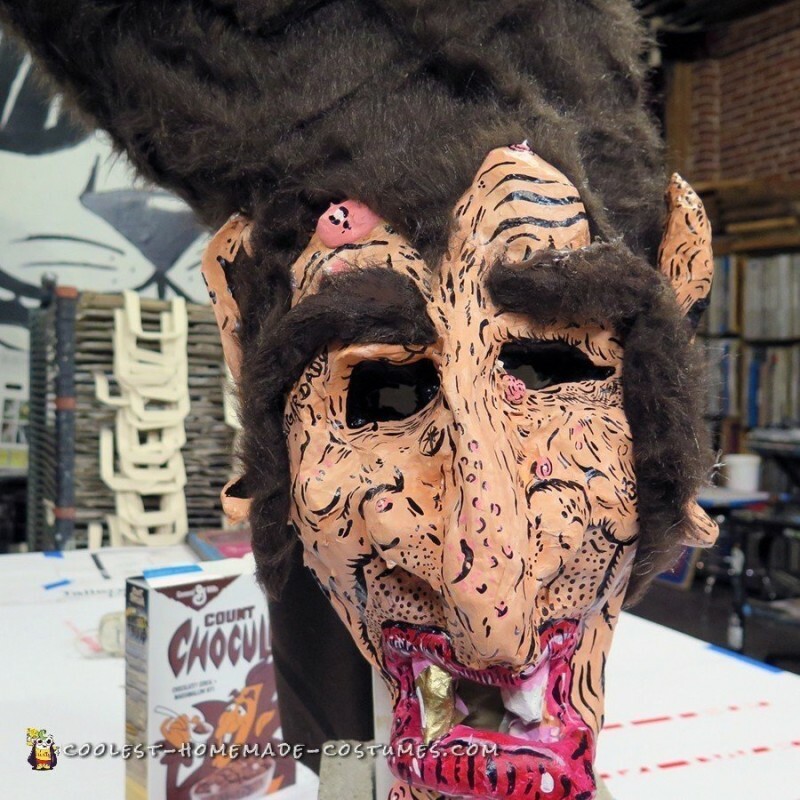 Altogether I found this to be a really fun process and I hope you enjoy my version of Count Chocula as well.